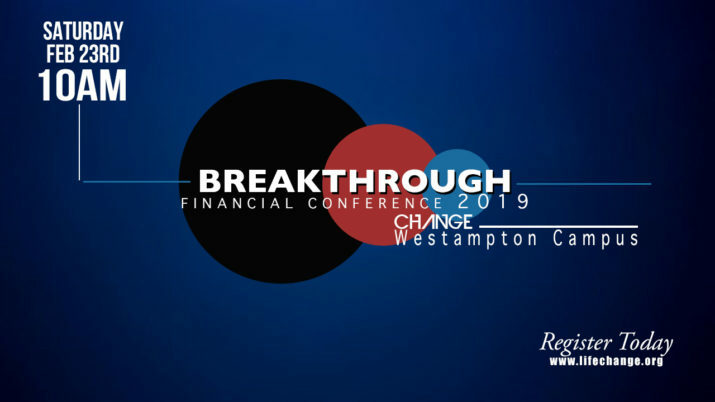 Join us on Saturday, February 23rd at 10am at our Westampton campus for our Breakthrough Conference. This conference will provide sessions on financial freedom, budgeting, investing, estate planning, more. Don’t miss this opportunity to Level Up and receive information that can help us breakthrough and experience freedom. There is no cost for this event, but registration is required.